"On this day I am empty..."
March 27th 2018 the Louisiana Attorney General Jeff Landry announced that the murder of Baton Rouge native, and father of 3, Alton Sterling was justified. On this day I sit in a vegan café across from my beautiful 7 year old daughter as she colors pictures of princesses, nibbles on cupcakes, and hums tunes that make my soul smile. I begin to think on the memories of my own mother. Memories where she’s laced in dashikis, a big afro, and earrings colorful and loud. I think on her meetings with Michelle and Barak Obama and other leaders throughout the south side of Chicago, collaborating on issues of systematic change and community organizing throughout Chicago’s Black and Hispanic communities. I remember being 6 or 7 and being completely enthralled by her ability to speak and compel people, her consistency and care for the community, and the respect she encountered by just being Black and Woman. From these memories I know that the people around you are a reflection of who you are and a reflection of all the places you’ll encounter. From these memories I know that baby girls hear, feel, see, and take in everything. As I begin to process the trauma from the news of Alton Sterling, I turn to my daughter. I know she will speak life into me with her ability to be raw and full of candor. Her insights will not only send shivers down my spine, but it would add fuel to my fire to carry on with the work at hand. I begin by explaining to her the murder that unfolded on my Facebook newsfeed in the summer of 2016. I explain to her that Alton Sterling was selling CD’s outside of a store when the police arrived; forced him to the ground, there was a struggle, and that they shot him at point blank range until the life left his body. I defined him for her: a father, a husband, and a man seeking to make ends meet just like her father and grandfathers that she loves so dearly. Her wheels begin to turn. I ask her to write through her thoughts. I tell her to use this story to capture all the colors that she may be feeling and respond however she wanted to on paper so that we could give as much life as we could to the news reported. While she was writing it was important to me that I let her lead. Let her explore the idea of survival and existence in America for people who looked like her and I. She responds that we need to take care of ourselves and do what we need to do to survive. She is 7 and she gets it. I guide her through the concept that this was not a Black and White issue but an issue of righteousness and evil. I express to her that we cannot combat violence with violence. We talk about building up communities of our people who would rush to our aid in the face of anyone seeking to harm us. We talk about hope and how the men in our family, our circle, and in her school have a commitment to not only SURVIVE BUT THRIVE. As a parent I decide what identity traits, personality qualities and values will be carved into the spirit of my daughter. My own mother sought out truth through a relationship with Jesus Christ and studying our history and when she found it she shared it with her children. Often you could find her in the hallways of our schools and corners of our classrooms pushing the narrative on Black excellence everywhere her children were. She didn’t teach us what was important by happenstance but by being deliberate and intentional. Because of what my mother taught me, I knew it was necessary for me to seek out understanding alongside my daughter. Much like my mother in our classrooms, I would be intentional. I would help shape and define the Black narrative for her. It is important that that these stories, though they aren’t ones of victory and triumph still be told. It is imperative that we not only define ourselves as athletic, brilliant, creative, and all around magical but that we define ourselves as marginalized, innocent, and still murdered. I define this as yet another layer of “The Black Talk”. I would be selfish and neglectful to not train up my child to understand that evil exists, but momma, daddy, and a tight knit of fearless men and women in our community would tear down walls with their bare hands to ensure you not only SURVIVE BUT THRIVE. 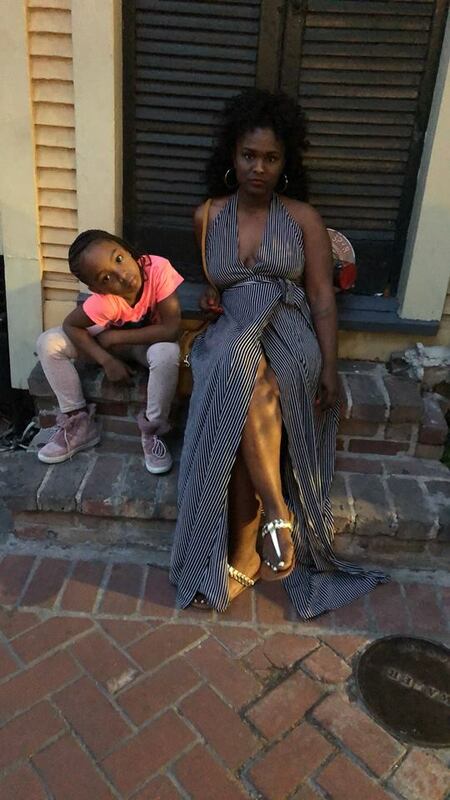 As a Black mother I choose the tool of writing and discussion to enable truth and understanding to ensure that I train up a Black woman who will know that in the times of not guilty verdicts and justified cop killings we must still continue to honor those who passed while simultaneously finding the strength to PRESS ON.